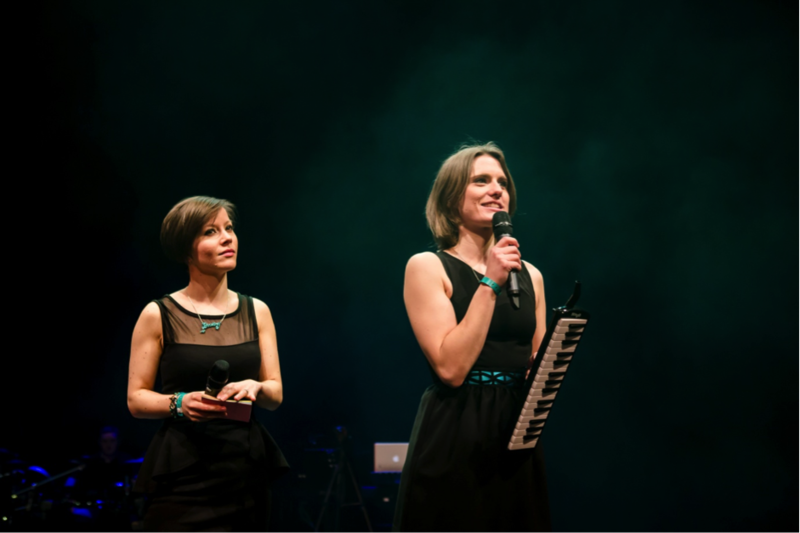 Meet Anna Shields and Emily Garsin founders of Starling Arts, an arts and performance company, which runs a range of vibrant singing, performance and training workshops for businesses, arts organisations, schools and communities. Launched in 2010, Starling Arts is founded on a central belief that the arts brings people together and aims to provide fun, accessible and high quality arts experiences for everyone and anyone, whatever their previous life or musical experience. Graduates of London’s Royal Central School of Speech and Drama, Anna and Emily first connected by singing around their piano in their flat share to unwind from their studies. Both are experienced performers and facilitators, having worked on a diverse range of youth and community music and drama projects internationally. They enjoy exploring the ways that singing can forge new relationships and have seen housemates, round-the-world travel buddies and even marriages formed through singing. Since starting their first community show choir in January 2010, the Starling Arts team have discovered the connective power of workshops, concerts and singing projects in London, across the UK and further afield. They have worked with thousands of young people, non-professional and amateur adult singers and their work, put simply, uses singing to bring people together. Clients include banks and accountancy firms, national media groups, charities, fashion brands and the health sector. The team continue to explore the benefits of singing for health, well-being and community, whoever they sing with. You can find out more about Startling Arts on their website.